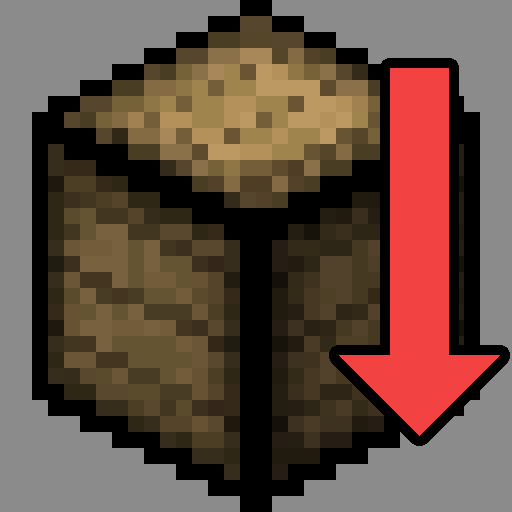 Preston is a "compressed block" mod - that is, it provides means of compressing sets of 9 identical blocks into 1 "compressed block" recursively, as well as decompressing them back. Preston allows you to compress any full-cuboid block in the game, not just a selection of them. Preston lets you set the amount of compression levels available. By default, there are sixteen (single, double, triple, ..., sexdecuple), but you can set them all the way from just one (single) to one thousand (..., undemilluple, milluple)! In addition, Preston includes an API for developers to be able to query, compress and decompress Compressed Blocks in their own machines, as well as define custom recipes for the Compressor. I encourage you to take a look at the configuration file and have some fun with the options! No EMC support so far??????????????????????? Project: E's API doesn't support differentiating item stacks by NBT values, making adding EMC support near-impossible. Sorry! No, it's literally technically impossible. There aren't enough item IDs in the world for it (as Preston supports every block, not just a few), and even coupled with JustEnoughIDs the resulting amount of content would significantly slow down modpacks. You'd need to fix it in Project: E first, to add NBT support, and they aren't planning on it. I'm busy with other projects right now and don't have time to rewrite major chunks of Project: E just to appease a feature which is desirable, but certainly not promised in any specific timeframe. Sorry. I just removed the Preston Mod and installed Extra Utilities2. Now it works!. Deleting a mod is the easiest way to fix problems. No Need of writing very long errory programs. Okay, I understand. I deletd the mod to fix the Problem. Sorry!!! That's absolutely fine. You could have spared your old comments, though. An example format for the blacklist/whitelist would be very useful. I can't tell how you're meant to add things. This mod looks very useful, but I haven't been able to power it via Immersive Engineering wires. Any ideas? @asiekierka I'm also trying to get this working, do Immersive Engineering wires not support the right power api or some such? I've found an issues with item meta references. I disabled the JEI support because it shows compression recipes for all items even ones not in the white list. So, how would I go about using specific forms and levels of the compressed blocks in crafting recipes? Like say if I wanted to smelt 16x compressed cobble into bedrock? do the recipes work with the compacting drawer from Drawers? This mod seriously needs to be put in all FTB modpacks. Amazing utility, especially when combined with other mods like Storage Drawers and AE2. Why can we compress liquids? I know they count as items, but upon looking at the compression recipe of liquids, my CLIENT crashes.